Lizzie started out with Pecks over 3 years ago as a Chef, and has continued to hone and improve her skills. Qualified in NVQ 1 and 2 in Professional Cookery and Front of House, and NVQ 3 in Pastry, Lizzie plays an integral part in the kitchen, including running sections and organising kitchen rotas - not the most popular job in any kitchen, but a vital one! Lucy has continued to work with Pecks for 5 years, from part-time to now full time Pastry Chef. She studied at Manchester, Trafford College, completing all her qualifications in NVQ Pastry levels 2 and 3. Constantly striving for perfection, experimenting and trying new ways and methods in baking. Lucy has produced some of our most spectacular wedding cakes to date. Lucy has recently been a finalist in the North West Chef of the Year Competition 2016. Having a keen interest in food, Chloe applied for the Apprentice Chef position at Pecks, successfully completing her apprenticeship and NVQ level 2 in Professional Cookery, Chloe has been working in the Commie chef role, with hard work and commitment gaining the position of Chef de Partie and will now look towards a NVQ3 level, Chloe is continually developing and learning new skills on her journey towards her goals to which she has recently been promoted to Junior Sous. Having started out in the Catering Industry Julie has experience and knowledge, bringing a wealth of business and development ideas to the Pecks team. Customer focused with 20 years experience in customer relations at all levels, Julie is the first port of call for all business, wedding coordination and function's, offering help, information and advice. 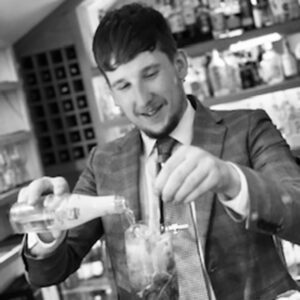 Local boy Matt joined the staff at Pecks straight from school at the tender age of 15 over 19 years ago, rising from trainee waiter to take overall charge of the restaurant's all-important front-of-the-house duties. He recognises the crucial value of properly trained people in maintaining Pecks exceptional standards of service because he was trained up himself "from the bottom" by the restaurant's co-founder and former owner Lucy Peck. Though still young, Matt has vast experience of delivering the Pecks experience – "not just a meal but a night out" – to the restaurant's legion of loyal customers and represents continuity of all those aspects of service that are unique to Pecks. "The Theatre of Food is something that we now would not and could not change," he says. Matt heads up a six-strong management team and responsible for a welcoming and well-drilled part-time waiting staff of 16. Ben started at Pecks as a part time waiter, enjoying the trade so much he applied for the Pecks Front of House apprenticeship, successfully completing his NVQ level 2 food and beverage course, and promotion to Management Trainee, he is now working towards NVQ level 3 food and beverage supervision, within his new role of Assistant Restaurant Manager. Pecks being awarded a AA rosette for Food excellence, he received a personal mention having impressed the AA inspector with his service. Nathan is the newest member to the team, after successfully securing a Pecks apprenticeship, he is now working hard in achieving his goals and working well towards his qualifications.